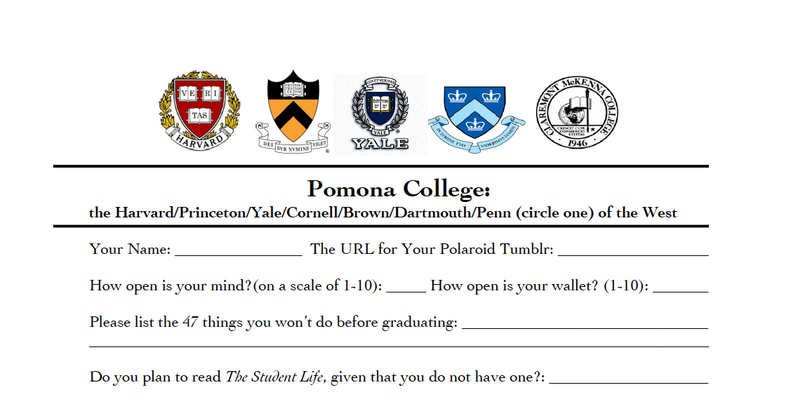 After several months of deliberation, Harvard University Pomona College Admissions Department releases their new student application for next year. – Haley Patoski CMC ’14, Pedro Salinas POM ’13, David Leathers CMC ’15, Dixie Morrison POM ’15, Clancy Tripp CMC ’15, Sam Pitcavage CMC ’15, Dante Toppo CMC ’15, Charlie Montgomery CMC ’15, and Will Hunt POM ’14. and they won’t even let me choose Columbia of the West! 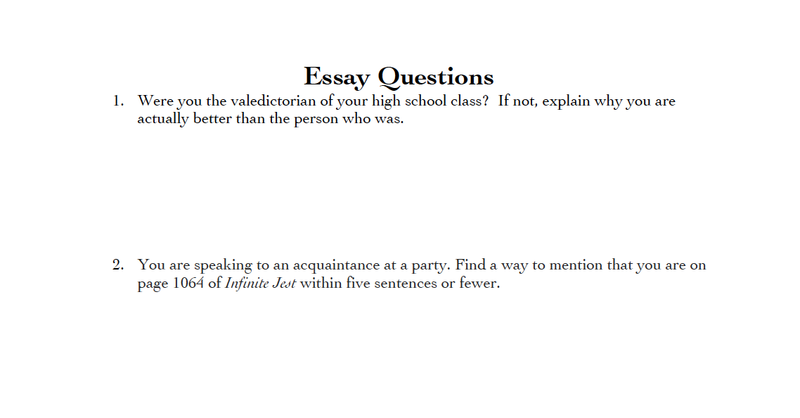 The Infinite Jest joke was my favorite. I don’t think I’ve been in a Pomona dorm room that didn’t have a copy. Scathingly accurate? I’d like to think not.